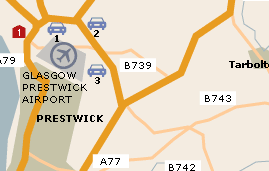 Prestwick Airport Parking can be either on-airport or off-airport. 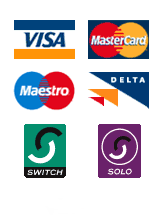 For details of Prestwick Airport Parking options simply select from the map or the following list to view the facilities which suit your needs best. We are certain that with our price match guarantee you will find the best possible price for your Prestwick airport parking. Prestwick Airport provides a wide range of facilities including those for business, children and the disabled. Public transportation to and from the airport is reliable and frequent with a choice of trains, coaches, buses, taxis and car hire. Prestwick airport has one main terminal and serves over 4 different airlines to over 20 destinations handling over 1.9 million passengers a year.